In certain areas of North America the White Buffalo is considered something of a sacred animal by the native inhabitants so for that reason alone it probably deserves it’s very own online slot. The Legend Of The White Buffalo is the name of this game and it’s developed by Cadillac Jack via Amaya Gaming. Read the review below to find out what PowerXStream and Streaming Stacks are and find out to earn up 128 free spins. Legend Of The White Buffalo is a five reel slot with three rows and five hundred and seventy six ways to win; it’s possible to make winning combos in so many ways because you can win from right to left as well as left to right. This is the PowerXStream feature and it means there’s a decent bit of action on the reels. There are three theme-related symbols including the White Buffalo logo, a White Buffalo, a Native American female, a tomahawk and an ornate pot; J, Q, K and A make up the lower values. The White Buffalo is the most valuable symbol and if you are using the maximum line bet it will pay out 125000x for a combo of five. The wild symbol is a big gold ‘Wild’ against a setting sun and it substitutes for all others except the bonus icon; this is a dreamcatcher which appears only on reels two, three and four. Before each spin one of the symbols is randomly selected to stacked on reels two, three and four – this includes the wild. 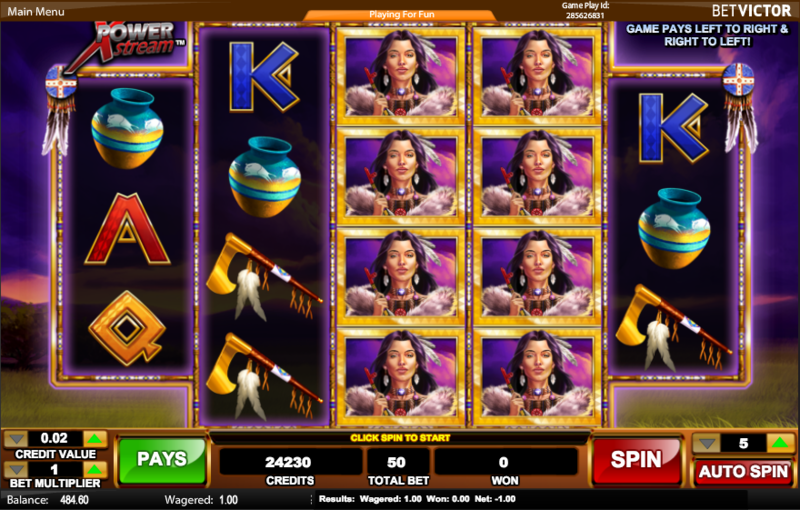 Eight free spins are triggered by landing three or more dreamcatcher symbols on a payline on reels two, three and four. It’s possible to earn multiples of eight spins if there’s more than one winning combo of dreamcatchers and it’s also possible to trigger more spins during the round up to a maximum of 128. The jackpot cannot be won during the free spins. Use the maximum line bet if you want to be in with a chance of landing the White Buffalo jackpot. 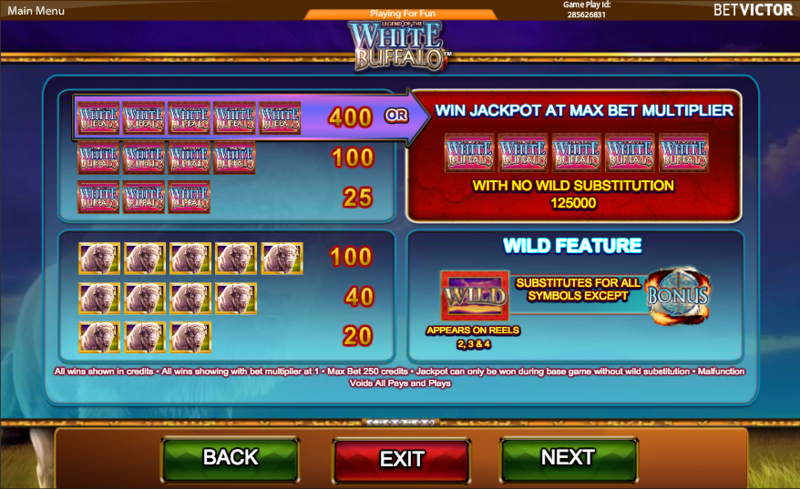 Legend Of The White Buffalo is a slot which ticks along nicely because of the PowerXStream feature but the bigger wins are definitely within the free spins round. It’s well worth checking out.